MIAMI (AP) — Florida is among 21 states with a "Stand Your Ground Law," which gives people wide latitude to use deadly force rather than retreat during a fight. The self-defense law helps explain why a neighborhood watch captain has not been arrested in the shooting death of an unarmed teenager. The Florida law lets police on the scene decide whether they believe the self-defense claim. In many cases, the officers make an arrest and leave it to the courts to work out whether the deadly force is justified. In this case, however, police have said they are confident they did the right thing by not charging 28-year-old George Zimmerman. The teenager was black. 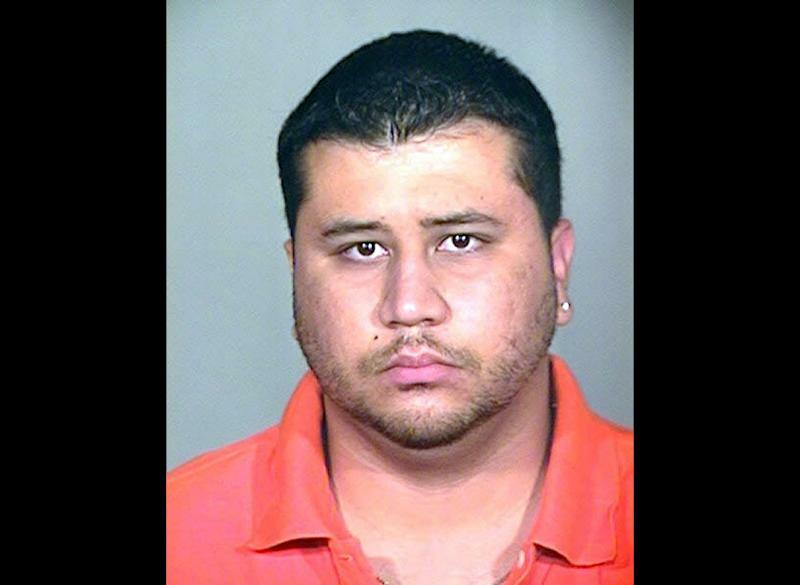 Police say Zimmerman is white; his family says he's Hispanic. The shooting's racial overtones have sparked a national outcry and debate over whether the shooting was warranted. And like in many self-defense cases, two sides of the story have emerged. Zimmerman told police he was attacked by 17-year-old Trayvon Martin after he had given up chasing the boy and he was returning to his truck. He had a bloody nose and blood on the back of his head, according to police. Martin's family questions Zimmerman's story, and believes if their races were reversed, there is no doubt a black shooter would be jailed, even if he claimed self-defense. "They are making it look like Zimmerman is the victim and their son is in the grave," said Benjamin Crump, attorney for Martin's parents. "It's about equal justice." Based on what's publicly known about the case, Michael Siegel, a former federal prosecutor who now directs the Criminal Justice Center and Clinics at the University of Florida law school, said it appears Sanford police were too quick to decide whether Zimmerman should be charged. If the evidence is murky, he said the usual practice is to make the arrest and let the court system sort it out. "The law has definitely shifted and given a signal to law enforcement to be more careful," he said. "But in a case where the self-defense claim is weak, you would think they would do their job." In a statement released Wednesday, Sanford Police Chief Bill Lee insisted his officers were "prohibited from making an arrest based on the facts and circumstances they had at the time," including physical evidence that supported Zimmerman's self-defense claim. "The Sanford Police Department has conducted a complete and fair investigation of this incident," Lee said, adding that it's now up to prosecutors to determine whether to bring charges. Late Wednesday, commissioners in Sanford, a city of 53,000 people outside Orlando that is 57 percent white and 30 percent black, voted 3-2 to express "no confidence" in the police chief. Under the National Rifle Association-backed Florida law passed in 2005, Florida, unlike most other states, grants immunity from prosecution or arrest to suspects who successfully invoke the "stand your ground" claim. And if a suspect is arrested and charged, a judge can throw out the case well before trial based on a self-defense claim. That happened Wednesday in an unrelated case. A Miami judge dismissed a second-degree murder case, citing the Stand Your Ground law and ruling that 25-year-old Greyston Garcia's testimony about self-defense was credible. The Miami Herald reported that Garcia was charged after chasing down and stabbing to death a 26-year-old suspected burglar in January. Still, it's not enough for Zimmerman or anyone involved in a confrontation to simply claim innocence based on no duty to retreat, said Fordham University law professor Nicholas Johnson. "By the Florida law, he is not relieved of the traditional and basic requirement of showing that he fairly perceived an imminent deadly threat," Johnson said. Crump, the Martin family attorney, said the teenager weighed about 140 pounds and was carrying a bag of Skittles and a can of ice tea he had bought at a nearby convenience store when Zimmerman began following him in his sport utility vehicle. Zimmerman, meanwhile, weighs around 200 pounds and was armed with a 9mm semiautomatic handgun, which he had a permit to legally carry. "So the facts that have come out that I have become aware of, would tend to indicate he should not be granted immunity," Roger Weeden, an Orlando defense attorney closely following the case, said of Zimmerman. Some state lawmakers are already questioning whether the law should be revisited. State Sen. Chris Smith, a Fort Lauderdale Democrat, said he is preparing a bill that would not allow a self-defense claim in cases where the shooter appeared to provoke the victim. That could have be a factor in the Martin case, where 911 calls and other evidence shows that Zimmerman was following the teenager in his vehicle and approached him aggressively despite specific instructions from police to back off. "Stand your ground appears to be giving suspects better protections from arrest and prosecution than increased security measures for the citizens the law was originally intended to protect," said Smith, whose bill would also limit legal use of lethal force to places such as a person's home, car or workplace. Lee, the police chief, said in a statement that the police dispatcher's "suggestion" to Zimmerman that he did not need to follow Martin "is not a lawful order that Mr. Zimmermann would be required to follow." "Mr. Zimmerman's statement was that he had lost sight of Trayvon and was returning to his truck to meet the police officer when he says he was attacked by Trayvon," Lee said. Republican Gov. Rick Scott, who was elected after the law's passage, said he's open to suggestions if the Martin case illustrates problems with it. "If there's something wrong with the law that's in place, I think it's important we address it," Scott said Tuesday. "If what's happening is it's being abused, that's not right."